In our ongoing series S.U.P.E.R. (Scubaverse’s Underwater Photography Equipment Reviews), Scubaverse.com’s underwater photography editors Nick and Caroline Robertson Brown review new underwater photography equipment, general diving equipment, and some older favourites too. For the fifteenth instalment of S.U.P.E.R., Nick and Caroline take a look at the FG9X Housing from Fantasea. 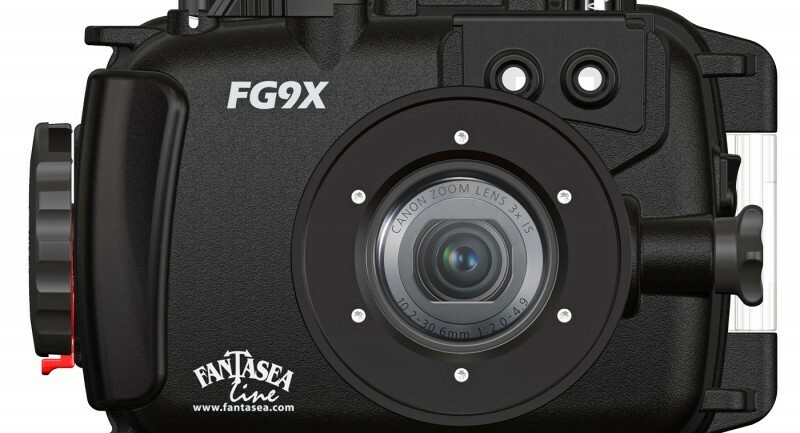 The Canon G9X in the Fantasea housing is an excellent package at a truly affordable price. This latest addition to the canon range is one of the few cameras on the market with the so-called one-inch super sensor. The sensor is a 20.1 megapixel CMOS sensor, offering an ISO range between 125 and 12800 and your images can be recorded in both JPEG and raw formats. 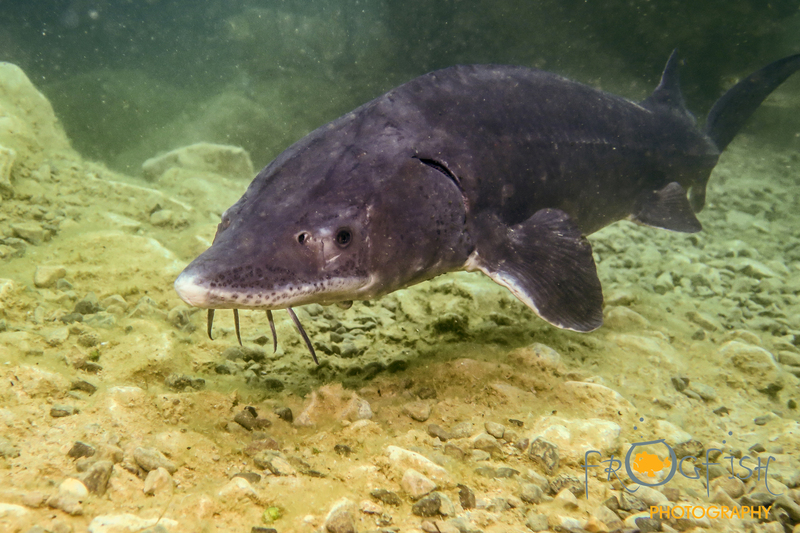 The zoom facility is reasonable, offering a 28 to 84 mm equivalent, which makes it a versatile set up, allowing both macro and wide-angle photography on an underwater outing. The camera also shoots 1080 video, and whilst this is no longer regarded as stunning quality, it is quite hard to see any significant difference when shooting under water. When paired with the Fantasea housing, the system works really well. The G9X was designed primarily as a touchscreen camera, but all the exposure controls can be operated by a single knurled knob on the front of the housing. This operates a dial on the front of the camera and by continuous cycling of the function button (one of only four buttons on the back of the camera), the aperture, shutter speed and ISO setting are all very easy to change if you are using the camera in manual mode. I like to test all housings with 5mm gloves on, to check out how easy it will be to use in the winter in the UK (even though there was no need to wear gloves on this dive), and found no issues with changing settings and controls. The camera is very light and small, and this, therefore, allows the housing to be small and easy to take away on your foreign dive trips. The lens on the Fantasea housing has a 67 mm thread which allows it to be able to take wet lenses. When I took it underwater, I had two macro lenses with me, the AOI ULC – 05 +6 close-up lens M67 and the AOI ULC – 06 +12. It is great that so many housings for compact cameras now have this option to add wet lenses whilst underwater to give the user more creative options. There is a huge array of lenses that are compatible with the 67mm screw thread on the front of the housing. I got some nice shots of the Capernwray Sturgeon with the macro lenses removed and despite being regularly bombarded by divers under training, the results from a compact camera under these conditions were very impressive. The housing is depth rated to 60m, and is clearly marked so that if you are not familiar with the controls, you can still find your way around whilst underwater. It has connections for two fibre optic cables, a cold shoe mount for accessories, moisture detector and alarm. So it is not short of desirable features. My overall opinion of the Canon 9 GX in the Fantasea housing was that this is a great package at a great price. The cameras are priced at around £350 and the housing runs out at just over £400. This setup is a great way for beginners in underwater photography to get into the water and capture good quality images. With easy access to all the camera’s functions and the ability to add wet lenses, strobes and lights, this really is a terrific starter pack at approx. £750. Fantasea is distributed in the UK by www.blue-orb.uk. For more from Nick and Caroline, visit www.frogfishphotography.com.